There are many unravelled secrets in the world; even after a great advancement in scientific methods and scientific instruments, we are not able to decipher the Indus script. 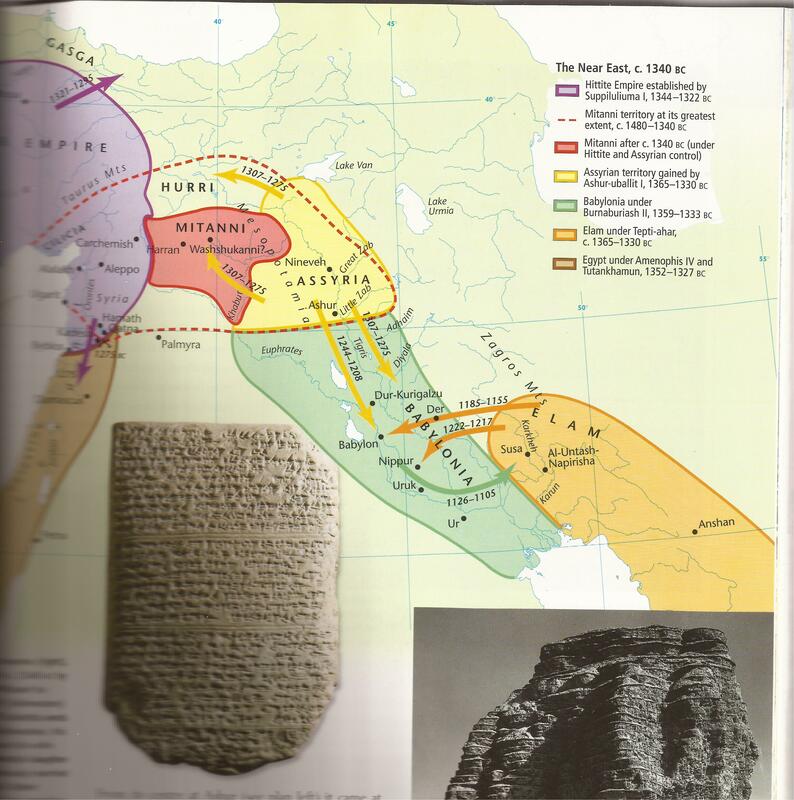 We are not able to get the full history of the great Hittites, Kassites and Mitanni civilizations of West Asia. Even big libraries like SOAS, University of London, has got only two books on Mitannis. But they are the greatest civilization that ruled Turkey and Parts of Syria with Hindu names Dasaratha and Pratardhana. Because they are Hindu names no scholar has come forward to study the civilization in details. Hindus must learn the Sumerian and Akkadian languages and study the 60,000 plus clay tablets in Cuneiform script. 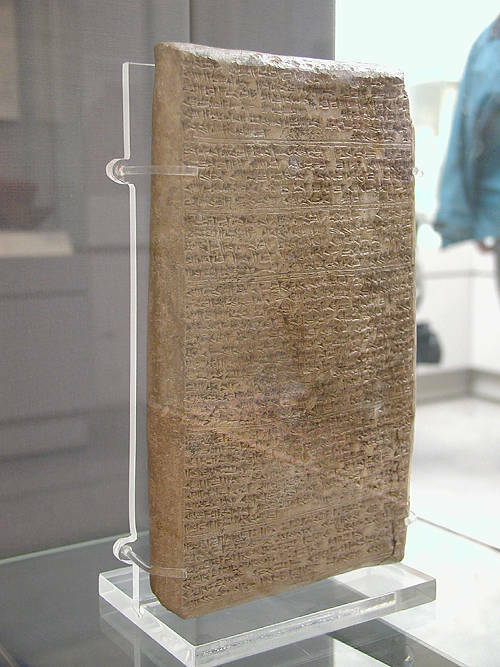 So far we know about Dasaratha’s letters that were found in Amarna in Egypt. The name Mitanni is connected with Mithras of Vedas. Their capital Washukanni is connected with Vedic god Vasu (Asta vasus). The kings names have words like Satya, Seela (Truth and character). Syria came from Surya (Sun God in the Vedas), Turkey came from Turaga/horse, Assyria came from Ashura, Iran came from the word Aryan. So we see all Vedic names there. But the few people who researched on these things agree on one thing: Hittites, Kassites and Mitannis spoke a language related to Sanskrit. Dasaratha (Tushratta in Mitanni inscriptions) married his two daughters to Egyptian Pharaoh. Mitannis made agreement in the name of Vedic Gods. In Turkey, horse manuals in Sanskrit are found. All these have been in western encyclopaedias for over 100 years; but no Indian history book taught these things to our children till this day! This is another mystery. No scholar disputed the following four important things or their dates- around 1400 BCE. 2.Mitanni kings made and sealed an agreement in the name of Vedic Gods. Even Indus Valley scholar Asko Parpola pointed out that the names of the Gods are in the same order that is found in the Rig Vedic hymn. This explodes Max Muller’s dating of the Vedas. 4.All the scholars agree that the oldest horse manual found in Turkey has instructions in Sanskrit. People who recited Vedas did not come to India from Siberia or Steppes; but they slowly spread to West Asia from India around 1800 BCE. Because it is later than the Mitanni inscription, Hindus migrated later to that area. “Kassite, the language of the dynasty which ruled Babylon from the sixteenth century BCE is another poorly understood language. No Kassite texts have been attested. There are however , two lexical texts which contain 200 basic words (terms for colors, chariot parts, irrigation and plants) and a handful of personal names. From them it is apparent Kassite is unrelated to any known language living or dead. The very word Kasi is a Sanskrit word ; It stands for Varanasi. Elsewhere they say that the Kassites are of Indo European origin. If is not related to known language, then are they from Indus Valley? The dates are nearly same . If we study those 200 words, will we be able to decipher the Indus script? So it is imperative Tamil and Sanskrit scholars must focus their attention to Mitannis,Kassites and Hittiles. Scholars like Mr Kalyanaraman (author of Arya Tarangini, Chennai based) has done some research in this area. Hatti may be Kshatria; Hurrian may be Aryan. Instead of guessing, we must do proper research scanning through 60000 plus inscriptions. (Please read my articles on the similarities between Hindu and Sumerian civilizations). “The history of the Mitanni state can only be partially reconstructed. The earliest king is believed to be certain Kirta, the father of Shuttarna. Kirti. Sudarsan etc. Strangely all the names are Vaishnavite names from Vishnu Sahasranama or Ramayana. Hindu names and rites get corrupted in proportion to the distance they are away from India. If you look at the names and Hindu rites in Sri Lanka, Malaysia, Bali/Indonesia, Mauritius, South Africa, Guyana and Fiji , you will understand how they change, modified or corrupted. The more distance in area and time they are, the more corrupted. The earliest attestation of Hurrians is in the late third millennium BCE (even before the Indus Valley/ Saraswati Valley civilization). Mitanni rose to power in 1600 BCE. Strangest thing about these civilizations is only two pages are given in most of the encyclopaedias. But they ruled a vast area for at least 200 years. Indian government must allocate more funds to all the universities that are ready to do research in this area. 11 May 2014 – Sanskrit words such as Tiamath, Sumukhan,Azigi, Vizigi (snake gods) in Sumeria can be explained only through Vedic literature. … The story of Garuda (eagle) and Amrita is in Hindu mythology and Sumeriancivilization. … I give below two stories from Sumerian andHindu scriptures. 18 Sep 2014 – In short, Hindu concept of God was propagated to the Near East by the Hittites, Kassites … Please read my earlier posts on Sumer– India link. There are more in my blogs. Hindu Kings Who Ruled Syria and Turkey! Research article No.1341; Dated 11th October 2014. Foreign “scholars” who wrote Indian history books deliberately hid some glorious chapters of Indian history — 1500 year rule of the Hindus in South East Asian countries and 2000 year rule of Hindus in Syria, Turkey and Iraq. Though the Bogazkoy inscription mentioning the Vedic Gods, Amarna letters of Dasaratha in Egypt, Kikkuli’s Horse manual with Sanskrit numbers were discovered long before Indian independence, they never found a place in our school and college text books. The British writers who wrote our history books wrote more about their “achievements” and “developments” in India than Indian contribution and cultural expansion. But instead of blaming them now, we have to blame our “scholars” who never bothered to correct it or update it. All over the world they updated their past history saying that they had glorious civilization around 1000 BCE or 2000 BCE. Indian history has a huge gap between Mauryan dynasty and Indus Valley. The Marxist and Dravidian scholars are very happy! They never recognised any of the 153 generations mentioned by Megasthenes and the Hindu Puranas. It is not too late to read about the glorious Hindu rule in Syria and Turkey. 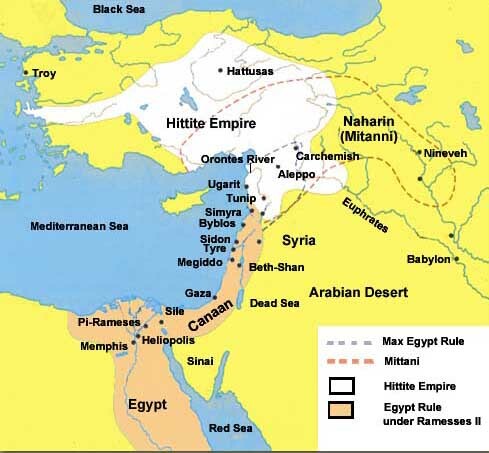 Between 1600 BCE and 1200 BCE the major powers of the Near East contended with each other for control of the region by means of war and diplomacy. Much of our knowledge of this period comes from the Amarna letters, a collection of clay tablets containing correspondence between Egyptian rulers of the later 18th Dynasty and their neighbours. They reveal amongst other things, the existence of Mitanni (Amarna is in Egypt). The Amarna letters date from the reigns of Amenophis III and IV (Akhenaten) and Tutankhamun (1390—1327 BCE). Written in Akkadian, the diplomatic language of the time, in cuneiform script, they include letters from subject princes and regions in the Near East. In the letters we see rulers sending gifts to each other and sometimes entering into dynastic marriages such as that between Amenophis III and Taduhepa, daughter of Tushratta (Dasaratha) of Mitanni. Tushratta wrote to his son in law, “ I have sent you , as a present to my brother, five chariots and five yoke of horses, and as a present to Taduhepa my sister, I have sent trinkets of gold, a pair of gold earrings ….. and godly stones”. After the death of Amenophis III, Taduhepa was married to his son Akhenaten. Mitanni (Mitranya Desa) appears in history in 1480 BCE, when Parrattarna (Pratardhana) was in control of Aleppo in Syria , By the end of 15th century BCE, Saushatar brought Assyria under Mitannian control. Tushratta was assassinated by his son in 1340 BCE. He was the last king of independent Mitanni. His kingdom was destroyed by the Hittites and Assyrians. A document from the Hittite capital Hattusa records a treaty in which Tushratta’s son Shattiwaza is recognised as the ruler of Mitanni as a Hittite vassal. Mitanni’s capital was called Washukanni (Vedic God Vasu) . A powerful Hurrian (Surya Vamsa; Hurrian=Suryan)) state in north Mesopotamia and Syria (named after Surya, Hindu sun god) , Mitanni is first mentioned in an Egyptian tomb inscription dating to the early the fifteenth century BCE and last attested at the time of Assyrian king Tiglath-pilesar 1115—1077 BCE. The name Mitanni comes from a personal name maiita (MITRA for Sun) known from Nuzi In Iraq. Since Bogazkoy inscription mentioned Mitra in Mitannian Peace Treaty, there is no doubt that it denotes MITRA, the Vedic God. Hurriya is also Surya=Sun=Mitra. Mitanni changed in to a geographical name Maittani. The state was also known as Hurri in Hurrian, Khanigalbat in Assyrian and some other texts, Khabigalbat in Babylonian, and Naharina or Nahrima in Egyptian. Scholars could not identify or locate its capital Washukanni. Its identification with Tell Fekherieh is disputed. By the mid fifteenth century BCE, Mitanni has conquered many parts of Iraq, Turkey, Syria which stretched to the Mediterranean sea. Its kings campaigned against Egypt and Hatti and eventually signed peace treaties with them. It has been argued that the glass production in the fifteenth century BCE should be attributed to Mitanni and the best early glass comes from Nuzi in Iraq. Vedas mention Pancha Jana (five tribes) in many places. Of the five tribes, Druhyus were the people who migrated to West Asia. Now we get lot of proof for this from the 8th Mandala of Rig Veda. The names correlate with the names in Iraq and Iran. It should have happened before 2000 BCE. In my post “Did Indra Attack Ur in Sumeria?”, I have given enough proof for the Vedic contact with Mesopotamia (Iraq). “The contact between Egypt and the Hindu kings of Turkey and Syria is well documented. Thanks to the clay tablets of Amarna letters we know that Dasaratha’s daughter Taduhepa ( Datta shivaa) was married to Amenophis III of Egypt. Dasaratha was ruling Syria and Turkey around 1380 BCE. He was assassinated in 1340 BCE. Mitanni kings followed Vedic religion is confirmed by Bogazkoy inscription where all the four major Vedic gods are mentioned in a peace treaty. Pratardhana – name in Vishnu sahasranama – was ruling Aleppo now in Syria. Turkey and Syria were ruled by the Vedic kings from 1480 BCE according to the clay tablets. Dasaratha sent Amenophis five chariots, five horses, trinkets of gold, a pair of gold rings and goodly stones, says one of the Amarna letters. We have more Sanskrit names and horse manual with Sanskrit numbers around 1400 BCE in Turkey. Marrying one’s daughter with a king of a neighbouring country is a typical Hindu custom followed by kings from Kanyakumari to Kashmir and beyond. Afghan Gandhari and Iranian Kaikeyi were married to Drudharashtra and Dasaratha, because all those countries were ruled by the Hindus in those days. 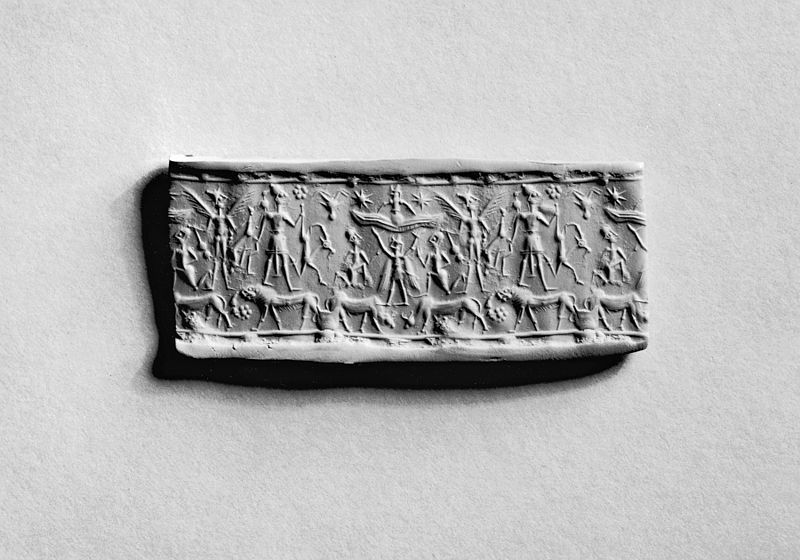 The horse manual written by Kikkuli ( Aswa Sena) runs to 1080 lines on clay tablets. Though it was written in Hittite language the numerals Aika,Tera,Pancha, Satta, Nava vartaana (1,3,5,7,9 intervals) and words for colours are in Sanskrit.